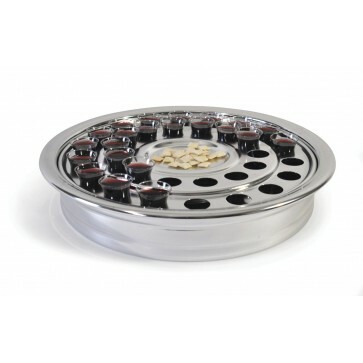 This uniquely designed Communion Tray contains both elements for easy distribution. Trays are available in two basic finishes: Silvertone and Brasstone. They're sized to accommodate the 501 Covers and 502 Bases. 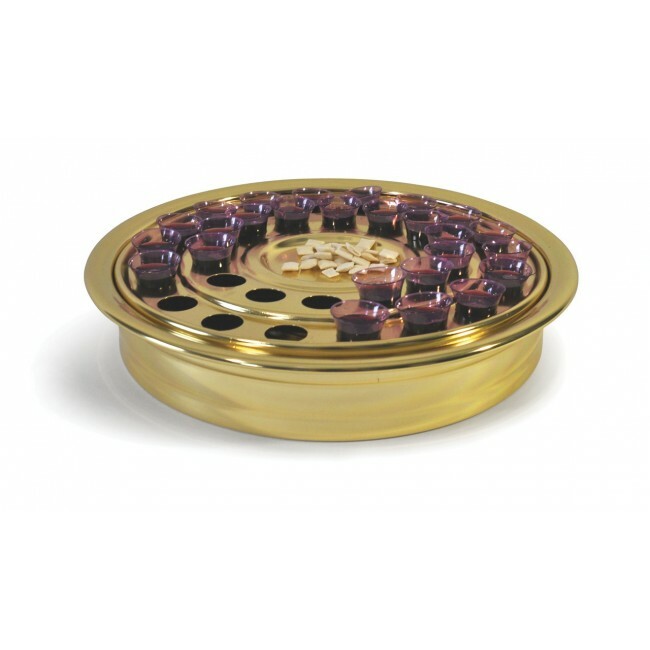 The single pass communion tray is becoming more popular especially in the larger church which greatly helps to simplify the distribution of communion. Each tray holds 32 glasses instead of the traditional 40 with the center made into a fixed dish for the bread approximately ¼" deep to hold the corresponding 32 hosts. This whole body communion tray eliminates the need for any extra bread trays, covers, or bases, which is a savings, money wise for even the smallest churches.